Newtown, CT Lawyers - Attorney Anne M Ragusa and Attorney Jim Storer. We emphasize responsiveness to client needs and expectations, personal integrity, professional excellence and a practical, goal-oriented approach to our clients’ legal needs. 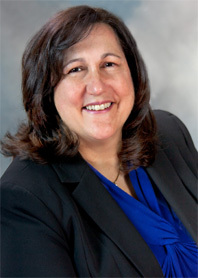 Attorney Ragusa has been practicing law since 1991 and uses her extensive knowledge and experience to provide her clients with the highest quality of legal representation. Attorney Ragusa’s practice focuses on individuals and small businesses and provides legal representation in the areas of Real Estate (purchases, sales and refinances), Probate (Wills, Trusts, Conservatorships and Estates), Business law (formations of corporations and LLC’s, acquisitions and sales) and Personal Injury. She serves clients locally and throughout the State of Connecticut. Knowing the value of building relationships with clients to better serve their individual needs, Attorney Ragusa prides herself on taking the time to understand each client’s unique situation. Her clients have put their trust in Attorney Ragusa and, in many cases, have referred multiple generations of family members to her for legal counsel. Providing legal information to the community is a public service which Attorney Ragusa believes is very valuable. To that end, she has presented programs to groups to help provide the basic legal information that will make individuals and businesses better consumers of legal services. Attorney Ragusa has spoken to groups regarding issues such as living wills and conservatorship, choosing the correct business entity, understanding the new residential mortgage loan regulations and protecting assets through estate planning. Attorney James F. Storer is a Harvard graduate with over 30 years experience in the legal industry. He was a judicial intern for Honorable Peter C. Dorsey, a United States District Judge. He spent two years as an associate attorney for Ward J. Mazzucco, P.C., where he began his focus on real estate law. 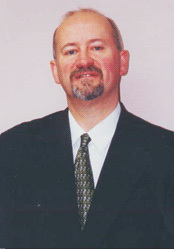 He was a Junior Partner at Mendelson and Schreiber before opening a general law practice in 1987. Attorney Jim Storer’s practice emphasizes residential and commercial real estate and litigation. He has acted as of counsel for Anne M. Ragusa LLC since 1997.When Attorney Jim Storer is not practicing law, he enjoys training as an amateur tri-athlete and taking piano lessons. In addition, he plans to learn Korean to share in his daughter’s heritage.